I'm a Brazilian Professional voice talent that provides, for more than 20 years in a row, recordings for narration, radio and TV commercials, promos, dubbings, liners, sweepers and on hold/voice prompts. 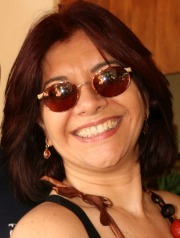 I'm a Brazilian Professional voice talent that provides, for more than 20 years in a row. Voiceover Portugues Brasileiro, voiceover talent.